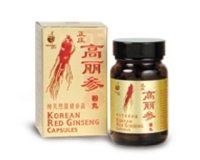 Red Ginseng or Kao Li Shen is a distinctive product of Korea. Grown in ideal soil and climatic conditions, this Red Ginseng goes through an arduous cultivation, maturation and harvesting process for about 6 years. Korean Red Ginseng is a natural source of Vitamin B1 and B2, Minerals and the Glucoside, Ginsenoside. - Enhances energy and endurance to help control and relieve modern day stress. 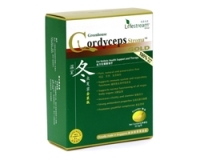 - Aids in the recovery from a bout of illness or after childbirth. - Alleviates hangovers due to excessive drinking. Each 375mg capsule contains 100% pure Korean Red Ginseng Powder. Children under 12 years: 1 capsule to be taken 1 to 2 times a day after meals..
Heritage Korean Red Ginseng (Kao Li Shen) is manufactured in Singapore according to stringent cGMP protocols and, is registered and approved by Health Sciences Authority, Singapore.